Using electric cars as police vehicles has some distinct advantages. Among them are near-silent operation, maximum acceleration from 0 rpm, and a novelty factor that can lead to friendly, beneficial interactions between officers and citizens. 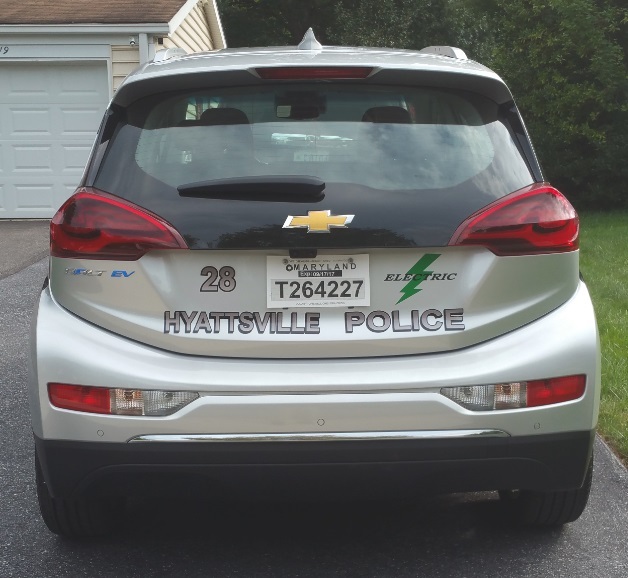 Now, the small Maryland city of Hyattsville, a suburb of Washington, D.C., has a 2017 Chevrolet Bolt EV electric car as its newest police vehicle. 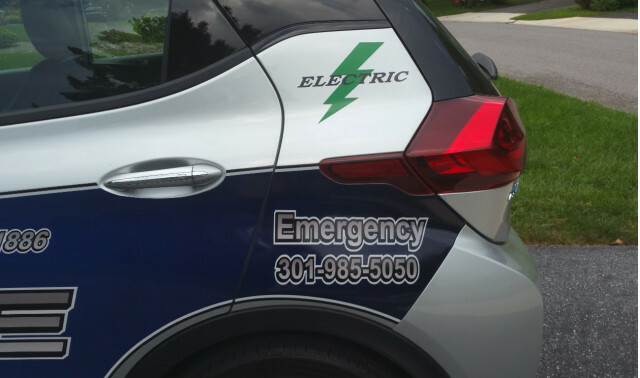 Sergeant Richard Hartnett of the Hyattsville City Police Department sent us the photos of the Bolt EV with its newly installed department livery. "The decals came out better than we had expected," he told us, "given the unique curve of the vehicle." 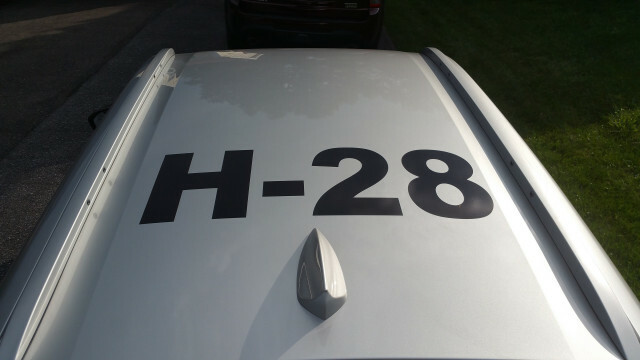 The electric police car arrived on June 20, and got its markings within a week. Now it's at a different shop having its add-on equipment installed: lightbar, siren, two-way radio, and more. Chevy's 238-mile electric hatchback is narrower than the average police vehicle, so the shop had to offer a special lightbar shorter than the standard ones, to avoid a "Flying Nun" look with a standard lightbar hanging over the edges. Thse goal is to have the car fully outfitted and ready to be displayed at the National Drive Electric Week parade and festival that's part of the Poolesville Green day on September 16 in Poolesville, Maryland. 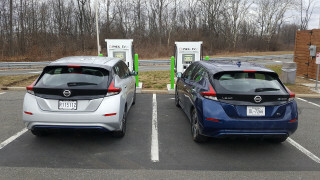 The event is one of the largest East Coast gatherings under the National Drive Electric Week umbrella, with 70 electric cars and motorcycles on display last year. 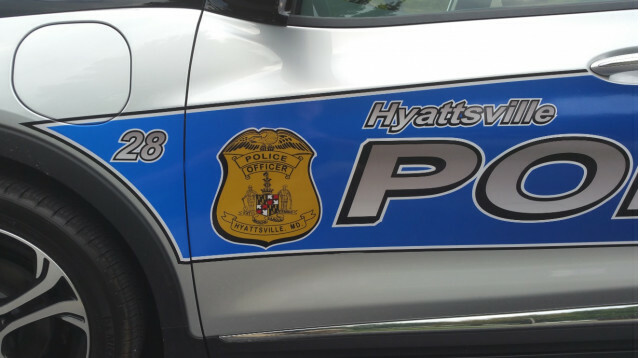 The City of Hyattsville is having its own "Green Expo" day the week before, on Saturday, September 9, with 16 different electric vehicles confirmed so far and more coming in. 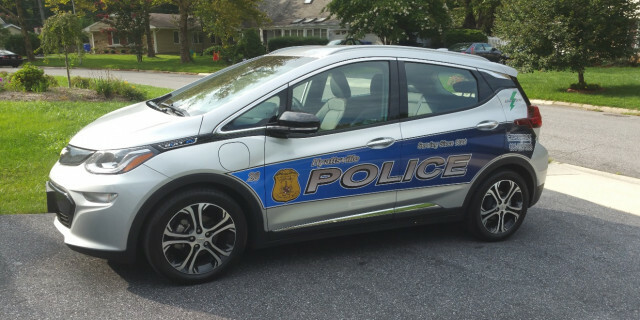 The department will have not only the Chevy Bolt EV police car but also a Zero Electric Police motorcycle at its own event and in the Poolesville parade and display. "I drove the Zero electric motorcycle from the dealership to our police station, about 45 miles," Hartnett told us. "That was my first time on an electric motorcycle, and it was awesome!" As well as his day job as Technical Services Manager for the department, Hartnett has long been a supporter of sustainable and renewable energy and electric vehicles. He applied for a grant from the Maryland Energy Administration to purchase the Bolt EV, the Zero electric motorcycle, and a pair of outdoor 240-volt Level 2 charging stations to charge them. CHECK OUT: Should we buy a Toyota Prius Prime, Chevy Bolt EV, or Volt? The grant was approved in late spring, and with a 20-percent match from the city, his department is well on its way to zero-emission transportation. 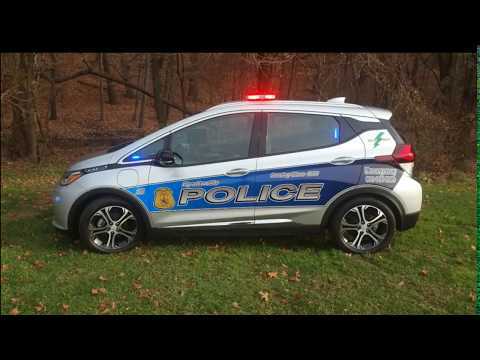 "I have the feeling this will be the first Bolt EV used as a police vehicle anywhere in Maryland," he said, "and possibly the first across the country." EDITOR'S NOTE: This article was originally published on August 19, 2017; we updated it in late February 2018 with the video produced by the department.